The students on Thursday demanded abolition of controversial series system in 10th and 12th class Board\ Examinations calling it ‘defective and unjustified’. “Simply, it amounts to measuring students’ talent and potential with discriminatory rods. One student is given the simplest paper while other the most difficult. Isn’t this discrimination?” they asked. 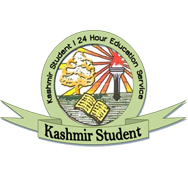 A delegation of students and parents told Greater Kashmir that the series system is unjust and discriminatory. “There should be an equitable question distribution in all series. The board should have adopted a proper and justified pattern in question paper setting like in other state boards where the distribution is done after series is formulated,” said Muhammad Iqbal, a student. Students said they were disheartened by ‘step motherly’ approach adopted by the Board that resulted in mental agony, sense of frustration and depression among them. The parents termed the three series system and single paper pattern a deep conspiracy to put a spanner in education of poor and average students. “The government wants to make education for classes and not for masses,” they said. “Despite facing huge criticism over the system, the BOSE officials did not pay any heed to it and the media reports,” the parents alleged. “While the students of other states are gearing up for the ISEET and AIEEE competitive exams with huge weight-age given to class 12th marks in all the state boards. 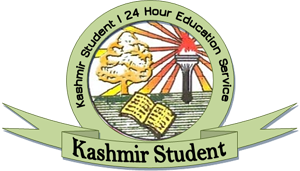 But, the JK BOSE officials have ignored the benefit are showing a serious negligence by asking incomprehensive questions in the exam,” said Muhammad Iqbal, a student. According to him a microscopic percentage of students participate in competitive examinations at national level while the majority of them prefer, for one or another reason, study in the state. “So this single paper system puts extra and unnecessary burden on majority of average students,” Iqbal said. Students said the recent Mathematics paper ‘fiasco’ had left them into lurch. “We want either reexamination or compensation from the board officials for the faulty 12th class math paper,” they said. A students’ delegation from Islamabad district alleged that the Board authorities had put their career at stake by setting difficult question paper in Mathematics. They appealed to the BOSE chairman to look into this matter and issue directions for re-examination to save their career. Introduction of single-paper pattern and series system at secondary and higher secondary was criticized by teachers community also. According to a plus two lecture, the board authorities have turned a Nelson’s eye to suggestions of scholars and experts for their petty interests. “Last year the BOSE painted a rosy picture of results by awarding nine grace marks in each paper and 18 marks in some papers in class 12th,” said Mustaq Ahmad, a plus two lecturer. Despite repeated attempts Chairman BOSE, Sheikh Bashir could not be contacted.